Christmas Fabric from Nostalgic Christmas Holly by Pearl Krush for Riverwood Fabrics. A beautiful coordinating cotton fabric to the Nostalgic Christmas Santa fabric panel. 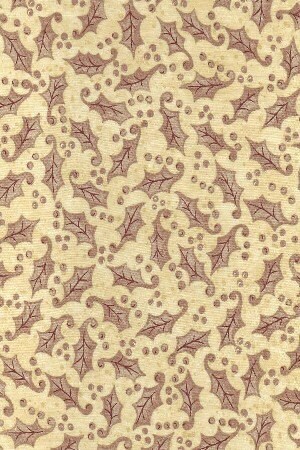 Designed by Pearl Krush for Riverwood Fabrics. 100% cotton, machine washable. All fabric from The Quilted Nursery Children's Fabric Store is cut directly from bolt offering generous cuts. Same day shipping always!